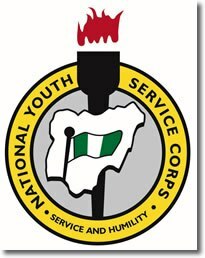 Are you aware that the National Youth Service Corps (popularly known as NYSC) batch b 2019 call up letter is out, and most importantly, you can now print it out? Use the guidelines provided here to do this. All prospective Batch B 2019 Corps Members should take note that the printing of Call up letters has commence. 1. To easily print out the call-up letter, please visit the portal to print the call-up letters → http://www.nysc.org.ng or follow this guide. 2. When the website loads up, you will be required to login with your registered e-mail address and password and proceed by clicking on the ‘Print Call-Up Letter‘ link. Please take note that the printing of call up letters will end on Monday. However, for those who didn’t pay, please note that they should proceed and go collect their call-up letters from their Institutions of graduation. While the NYSC 2019 Batch ‘B’ Orientation Course (stream II) is scheduled to hold on the (yet to be announced date). Wishing all concerned graduates, the very BEST and don’t forget to share this information with your friends, using the share buttons below.